Today's featured designer is Tetsuya Matsumoto. Tetsuya Matsumoto is the creator of iconic designs such as The Cutting Edge, Origami Ark and Kawaii : Cute. Tetsuya Matsumoto, Tetsuya Matsumoto Designs, Tetsuya Matsumoto Interview, The Cutting Edge, Origami Ark and Kawaii : Cute. 5. In collaboration with Gallery Hans Persoon, Micky Hoogendijk and Maison Summier launch their first joint creation during the exhibition ‘through the eyes of others’ at Oogenlust in Eersel: the Nudes Salonpoef. The Nudes Salonpoef is part of this exhibition that shows untill May 19 on the beautiful ‘domein Oogenlust’ in Eersel, the Netherlands. Micky Hoogendijk and Maison Summier create a new way to experience art. Normally you look at a photo hanging on the wall, the salonpoef changes that perspective.The effect is astonishing. Sum Wing LEE, Sum Wing LEE Designs, Sum Wing LEE Interview, MouMou Club, CIAK AllDayItalian and Kaiseki Den. 10. How important is certification regarding the performance and quality perception of products? Did you know that you could potentially fold your sales figures five times if you were to certify your products? Research on consumer behavior show that more than eighty percent of consumers prefer products that are certified when compared to other non-certified competitor products. 15. In collaboration with Gallery Hans Persoon, Micky Hoogendijk and Maison Summier launch their first joint creation during the exhibition ‘through the eyes of others’ at Oogenlust in Eersel: the Nudes Salonpoef. This article discusses how to market products in a way that makes sense to customers and consumers alike. 25. How important is certification regarding the performance and quality perception of products? Nina Jun's Ceramic Balloons at Art Hamptons. On July 10-13, 2014, the seventh edition of Art Hamptons will return to the spectacular 95-acre Sculpture Field of Nova’s Ark in Bridgehampton, fueled by a record-breaking attendance of 14,000+ enthusiastic art lovers. The rich tradition and expansive selection of art, A-list parties and celebrity-filled special events make Art Hamptons the primary summer source for acquiring new art in the Hamptons, such as the ceramic balloons by Nina Jun, represented by the Cynthia Corbett Gallery, London/ New York. The eye ring was inspired by the Salvador Dali’s The Eye. It is a great piece of art that summarizes how we perceive our reality and amazingly embody our experience. The Eye is part of paintings made by Dali for a dream sequence of the film Spellbound starring Ingrid Bergman and Gregory Peck. The Eye from 1945 shows a disturbing, dripping brown eye floating in a surprisingly calm, serene landscape. 32. In collaboration with Gallery Hans Persoon, Micky Hoogendijk and Maison Summier launch their first joint creation during the exhibition ‘through the eyes of others’ at Oogenlust in Eersel: the Nudes Salonpoef. Online brands have had some great success with Instagram Stories and Instagram Advertising. This compelling way to consume media is taking the platform by storm. Users are more focused on creating content for Instagram Stories than they are for their own feed. Users are just as passionate about watching other users stories on Instagram. Now is the right time for your brand to be apart of Instagram Stories. Unisex organic skin care line designed by Dustin Edward Arnold. 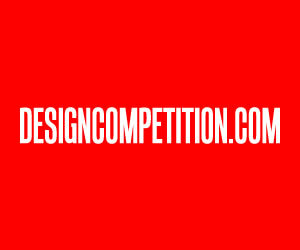 All design awards, competitions, and contests, whether free to join or not, imposes costs on the participants. Learn these costs and how to avoid them. 43. How important is certification regarding the performance and quality perception of products? This is a review of the interior design book ROOM released by Phaidon. Salone Internazionale del Mobile presents, with a varied range of proposals, showcasing 360 ° of domestic furnishing solutions in terms of typology and of styles, from classic to modern design, in addition to what will dictate the trends of tomorrow. First event to give special attention to young people with the Salone Satellite (since 1998), a meeting place for entrepreneurs and promising designers. Many of the prototypes presented in the previous 18 editions have been put into production and many of the designers who participated are now important names in the design scene. Salone del Mobile, Milano, Salone Satellite. Design process behind Oli. A modern home Bluetooth speaker with reminiscences of the past. "Phoenix in Bloom" is an award winning jewelry in Jewelry, Eyewear, and Watch design category in A’ Design Award and Competition. 56. In collaboration with Gallery Hans Persoon, Micky Hoogendijk and Maison Summier launch their first joint creation during the exhibition ‘through the eyes of others’ at Oogenlust in Eersel: the Nudes Salonpoef. 61. DDplus Experience: Designer, Maurizio Di Marzio talking about “DDplus design & pet” and the philosophy behind this new Italian brand. the designer explains the reasons that led him to found this new brand, which manufactures his products in Italy. Statistics and Surveys on winners obligations; i.e. what winners are required to do when they win. 73. How important is certification regarding the performance and quality perception of products? This article is a basic discussion regarding colors and their usage for designing communication and marketing materials and products. Graphic designers must ask these twenty logo design questions to their design clients to design the most appropriate logo. Now entering its 55th national edition the Salone del Mobile is the reference point in the furniture and design. The search for a balance between tradition and innovation, giving ever more importance to eco-friendly and the relationship with nature, is the fundamental theme of the exhibits in the name of quality and culture. There is also a space dedicated to the young emerging designers proposals from around the world called “Salone Satellite”. As a designer, you can have your own designs produced without having any company to actively buying your work. Be your own manufacturer using these services! 81. DDplus Experience: Designer, Maurizio Di Marzio talking about “DDplus design & pet” and the philosophy behind this new Italian brand. 90. DDplus Experience: Designer, Maurizio Di Marzio talking about “DDplus design & pet” and the philosophy behind this new Italian brand. This article covers and reviews some of the prominent Italian Design Magazines in Architecture, Furniture and Interior Design Fields. 96. How important is certification regarding the performance and quality perception of products? Why designers should have a portfolio website and how we can create one that actually converts. 100. How to sell textile design original ideas to big mills worldwide? This article reflects about the textile indsutry with the use of technology and CAD Systems and the effects on quickness and on the other side undervalue designer´s work. This article is about ethics in graphic design to discuss the importance of ethics in a multicultural society, and the criteria designers can use to determine what is ethical design. Alcohol was used as an example to illustrate the diverse perspectives that could cause a humanitarian conflict in ethical design. I would like to publish the article at your inspirational and informative magazine as it is one of the most significant in graphic design. David Flores Loredo, David Flores Loredo Designs, David Flores Loredo Interview, Eagle. Today's featured designer is Anastasia Smyslova. Anastasia Smyslova is the creator of iconic designs such as Kasatka and PetitAna. Anastasia Smyslova, Anastasia Smyslova Designs, Anastasia Smyslova Interview, Kasatka and PetitAna. 117. In collaboration with Gallery Hans Persoon, Micky Hoogendijk and Maison Summier launch their first joint creation during the exhibition ‘through the eyes of others’ at Oogenlust in Eersel: the Nudes Salonpoef. Emotions, memories, inspirations, welcome to the Furniture Fair! "Salone del mobile" "Milano" "2016"
Emotions, memories, inspirations, welcome to the Salone del mobile! 127. How to find participants to join your design event? Perhaps you are still searching for cc free stock images, copyleft stock photos, or royalty free stock photography now stop please, because your search ends here. This article tells you how to find those images for incorporating in your works. 131. How important is certification regarding the performance and quality perception of products? 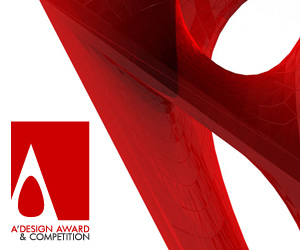 The general purpose of design awards is to create awareness for good design and more. FOAID started with the idea of celebrating the glory of Indian Architecture & Design. Since its inception, it aims to create a benchmark where the stalwarts & the future designers share a common platform to discuss how the design world has transformed & innovated to create a future of spell bound figures. FOAID is a festival of creative minds to meet & discuss the new facets of the design fraternity. As the world of Architecture is growing leaps & bounds, FOAID promises to create something unique & exclusive for the industry. After covering varied topics in two years, this year we aim to touch upon topics which will focus the future of design space. 147. In collaboration with Gallery Hans Persoon, Micky Hoogendijk and Maison Summier launch their first joint creation during the exhibition ‘through the eyes of others’ at Oogenlust in Eersel: the Nudes Salonpoef. 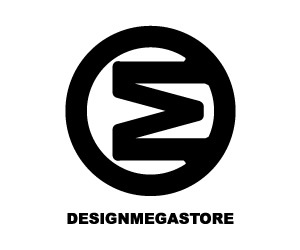 Design, Home Interiors, Architecture and Life-style magazines in Polish to publish your works. Polish design magazine, design magazines Poland, lifestyle magazines. 157. How important is certification regarding the performance and quality perception of products? This article is an outlook of design mediation, brokerage and consultancy services provided by DesignMediators. Join the discussion and tell us how you define design by taking part in the design encyclopedia project. 183. Half a century! Happy birthday Salone! 187. How important is certification regarding the performance and quality perception of products? DA Awards are open for submissions of designs, photography and architecture projects. Designers, photographers and architects could submit their entries to one of the following six categories: Industrial Design, Graphics Design, Architecture, Interior Design, Packaging Design and Photography. There are certain dietary supplements you could take to potentially enhance your cognitive skills. Here is a golden list of nootropics and nutraceuticals. 'Dio' is an AI-generated sculpture, materially made from the computer that invented it. 206. Salone Satellite 2011. Largo ai giovani! This article discusses how you could use DesignAmid magazine to get more sales leads, publishing opportunities, and to improve brand value and quality. Three examples are given; a shop in a desert, a shop in a bazaar and an office in 5th Avenue, leading to the ultimate conclusion. Design Competition Statistics and Survey results on Participation Fees and Award Prizes. 223. Salone del Mobile 2016: to the search of the good design. Design rankings are a boon to designers, agencies, buyers and recruiters. But rankings can be more than just lining up designer profiles. 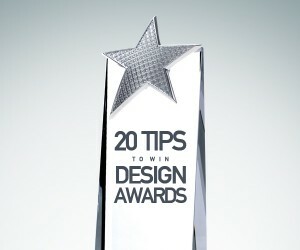 We guide you through three design rankings that analyse thousands of award winners. When cross-indexed, they weave together a rich, multi-dimensional picture of design talents, strengths and weaknesses by countries, their classifications and celebrity status. Today's featured designer is Viktor Kovtun. Viktor Kovtun is the creator of iconic designs such as Shark-Commode, Minimum and Deco. Viktor Kovtun, Viktor Kovtun Designs, Viktor Kovtun Interview, Shark-Commode, Minimum and Deco. 229. Salone Satellite 2011. Largo ai giovani! 234. Salone del Mobile 2016: to the search of the good design. Aliki Rovithi, Aliki Rovithi Designs, Aliki Rovithi Interview, Get the hang of it and The FA.B..
Today's featured designer is Jeff Ching-Wen Chang. Jeff Ching-Wen Chang is the creator of iconic designs such as 90 Deg and Xit. Jeff Ching-Wen Chang, Jeff Ching-Wen Chang Designs, Jeff Ching-Wen Chang Interview, 90 Deg and Xit. A’ Design Award & Competition announces its call for submissions for the Package Design Category. 259. How important is certification regarding the performance and quality perception of products? Un evento mondiale che non delude rispetto alle aspettative preannunciate sulla carta. Infatti, alla sua 54esima edizione il salone del mobile vede partecipare 2.106 espositori di cui 700 giovani designer e il ritorno delle biennali Euroluce e Salone Ufficio. I padiglioni espositivi per mobili e complementi d'arredo sono ordinati per tipologia di prodotto, design, stile moderno e stile classico. Girando negli stand si può trovare ogni genere di soluzione per la casa, e aumentano le aziende che rivolgono più attenzione ai più piccoli, con mobili per l'infanzia costruiti in materiali ecologici. Today's featured designer is Sergei Didyk. Sergei Didyk is the creator of iconic designs such as Plates and TimeFlies. Sergei Didyk, Sergei Didyk Designs, Sergei Didyk Interview, Plates and TimeFlies. This article discusses the evolution of Arabic calligraphy to highlight the current state of Arabic typography. It talks about the importance of Arabic language to Muslims, as it is the language of Quran; the holy book sent by God. The appreciation of Muslims of their religion is reflected in the development of Arabic calligraphy; Kufic as well as cursive scripts are highlighted in order to manifest the progression of Arabic calligraphy during the rise of Islam. The light is shed on Latin typography in order to compare its progression with Arabic typography. Lastly, the demand for contemporary typefaces that serve the current contexts, and needs is also discussed in this article. A quick yet in-depth review of the international Italian A-Prime Design Award. Today's featured designer is Kay Jiaqi Zhou. Kay Jiaqi Zhou is the creator of iconic designs such as Snow White. Kay Jiaqi Zhou, Kay Jiaqi Zhou Designs, Kay Jiaqi Zhou Interview, Snow White. La fiera Internazionale d'Arte Comtemporanea torna anche quest'anno a Torino all'Oval Lingotto Fiere dal 4 al 6 novembre 2011. 294. What is Advanced Design, Who is an Advanced Designer? This article explains how you could convert services into products so that you could reach a wide range-of end-users. Are design competitions effective platforms to promote designers and create awareness? Depends on the platform. Pokemon Go could have won a design award but it did not. Today's featured designer is Gao Xiong. Gao Xiong is the creator of iconic designs such as Angel's Artisan Boutique Hotel, Dule Japanese style Izakaya and Image Wang Jiangnan. Gao Xiong, Gao Xiong Designs, Gao Xiong Interview, Angel's Artisan Boutique Hotel, Dule Japanese style Izakaya and Image Wang Jiangnan. 320. How important is certification regarding the performance and quality perception of products? This article discusses the evolution of Arabic calligraphy and highlights the current state of Arabic typography. 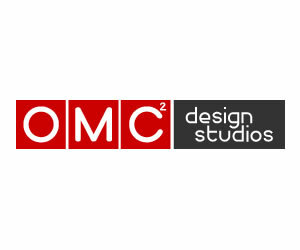 The World Design Consortium offers the best possible design within the budget of its clients. Today's featured designer is Alex Bazyl. Alex Bazyl is the creator of iconic designs such as Dynamic space. Alex Bazyl, Alex Bazyl Designs, Alex Bazyl Interview, Dynamic space. This year Salone del Mobile seeks to create new paths in the world of design through research of new forms and materials , fusing them with the solid foundations of the past . Design competitions, contest and awards could create issues with regards to various types of intellectual property ranging from copyrights, industrial design rights, model releases and trademarks. This article discusses some of the issues. 333. How important is certification regarding the performance and quality perception of products? Did you know about the Curious Customer, The Copycat Ninja, The Mass Fabricator? Today's featured designer is Britta Schwalm. Britta Schwalm is the creator of iconic designs such as Eves Weapon. Britta Schwalm, Britta Schwalm Designs, Britta Schwalm Interview, Eves Weapon. Today's featured designer is Moritz Pröll. Moritz Pröll is the creator of iconic designs such as Telescope. Moritz Pröll, Moritz Pröll Designs, Moritz Pröll Interview, Telescope. 346. How important is certification regarding the performance and quality perception of products? This article discusses problems with freelancing platforms, issues created by freelancers, ethics and value of the freelancing work. Discover the best designers, artists and architects by checking out the Design Classifications. Quotes for design and creativity, and also for inspiration, innovation, marketing and competition. Today's featured designer is Sophia Georgopoulou. Sophia Georgopoulou is the creator of iconic designs such as Amphora Olympia and Basic Naturals. Sophia Georgopoulou, Sophia Georgopoulou Designs, Sophia Georgopoulou Interview, Amphora Olympia and Basic Naturals. 364. How important is certification regarding the performance and quality perception of products? 367. Salone del Mobile 2016: to the search of the good design. 368. Salone and Salone Satellite. Two different worlds. Today's featured designer is Nima Bavardi. Nima Bavardi is the creator of iconic designs such as FiPo, Sperso and Newmoon. Nima Bavardi, Nima Bavardi Designs, Nima Bavardi Interview, FiPo, Sperso and Newmoon. 376. Salone del Mobile 2016: to the search of the good design. 377. What is Advanced Design, Who is an Advanced Designer? 381. How important is certification regarding the performance and quality perception of products? Today's featured designer is Naai-Jung Shih. Naai-Jung Shih is the creator of iconic designs such as Wood Storm, Falling Water and Missing Julie. Naai-Jung Shih, Naai-Jung Shih Designs, Naai-Jung Shih Interview, Wood Storm, Falling Water and Missing Julie. 400. How important is certification regarding the performance and quality perception of products? WorldLabel presents the Mason Jar Design Competition for Jar Labels, free to join for all participants. 404. Salone del Mobile 2016: to the search of the good design. 20 Creative Award winning Baby, Kids and Children Product Designs that will inspire you! 415. Salone del Mobile 2016: to the search of the good design. 418. Salone del Mobile 2016: Design strikes again! At the “Salone del Mobile” architecture, furniture, hobby and design merge into one. Here are some of my quotes on design, design thinking and design business. Join thousands of graphics design professionals who have shared their vision and been recognized as design's best and brightest in the International Graphic Design Awards.